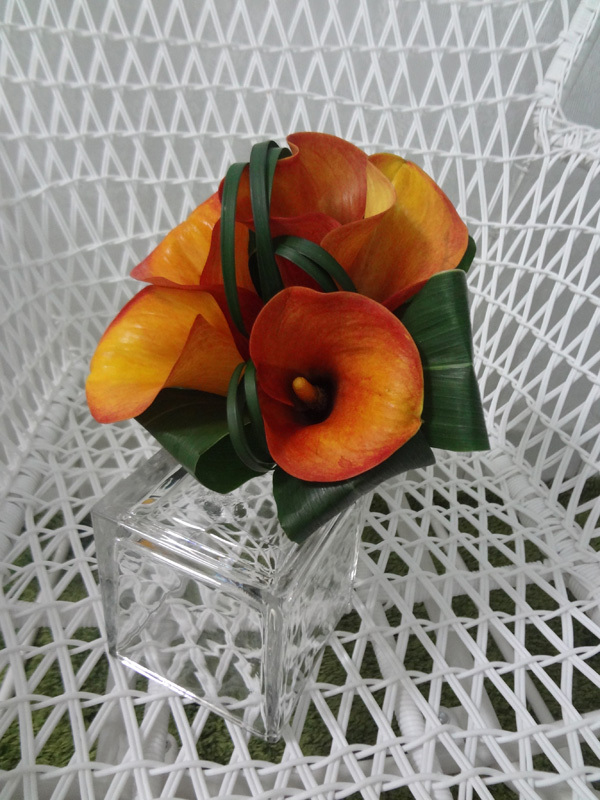 The curves of the orange calla lilies are accentuated by the arched leaves and grass. 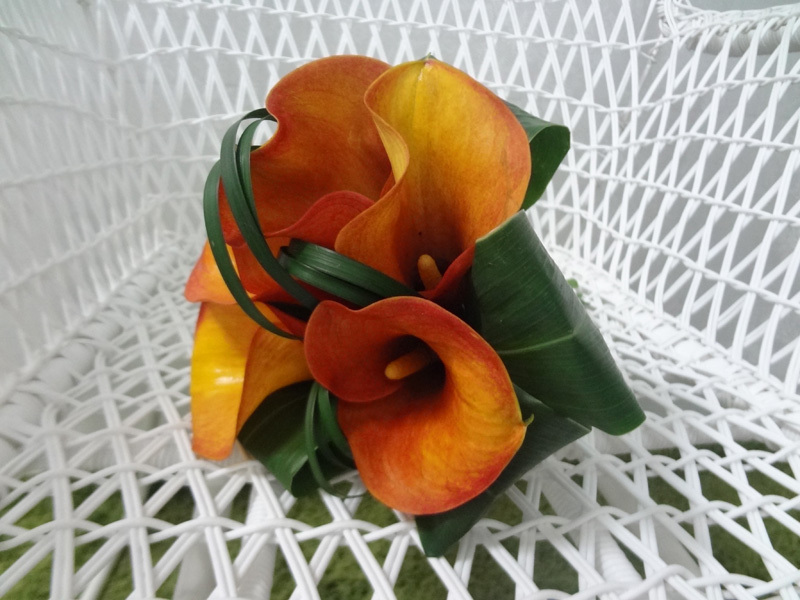 The stems are wrapped with cordyline leaves, which have natural whitish motifs on their ends, providing an interesting design. 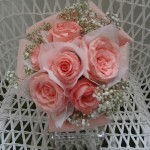 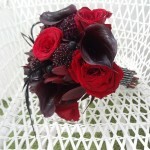 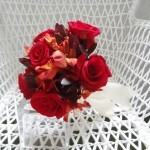 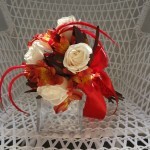 This organic bouquet is for the bride who loves nature and the outdoors. 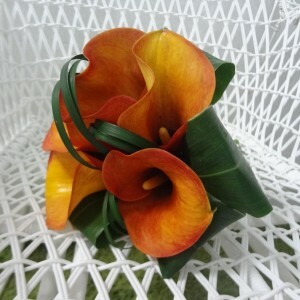 Flower meaning: Calla lily – beauty.